We like to think Roker Pier & Lighthouse is truly one of a kind. There’s something quite majestic about the lighthouse, with its red and grey granite hoops, which has stood welcoming ships into Sunderland for over a century. There are a number of things which make the Lighthouse so unique – like the tunnel leading from its basement to the shoreline, to the mastermind behind the structure, to all the stories and tales from lighthouse keepers of times gone by. The tallest brick lighthouse on the American Coast standing at an incredible 64 metres high, this lighthouse with its black and white stripes isn’t one that’s easily missed. Cape Hatteras Light was the second lighthouse build on this spot, and it even had to be moved to safety in 1999 as erosion from the sea meant the lighthouse was getting ever nearer to the sea. A highly popular tourist attraction, Canada’s Peggy’s Point Lighthouse is a spectacular sight. Surrounded by sea-weathered rocks, the angled white lighthouse with red lantern room is thought to be one of the most photographed lighthouses ever. The tallest lighthouse in the world, Saudia Arabia’s Jeddah Light not only acts as a working lighthouse but also as the port’s control tower. The sphere atop the white tower is a particularly unusual design and part of what makes this lighthouse so unique. A truly spectacular site, this lighthouse on Lake Michigan is often transformed into an eerie and completely icy monument during harsh winter storms. 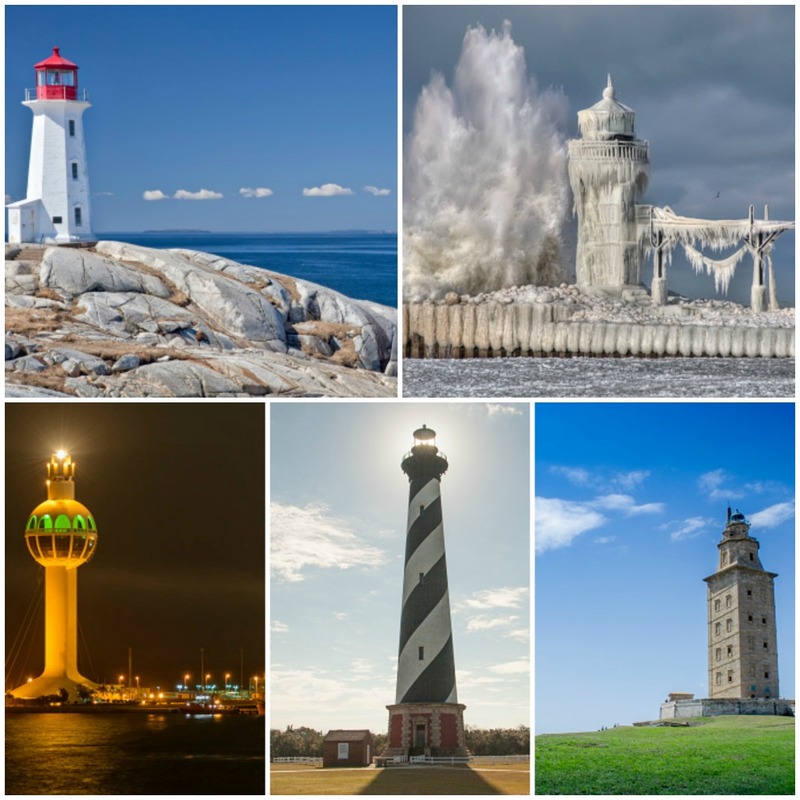 Battered by waves which are frozen as they wash over the lighthouse, the effect is stunning and makes St Joseph lighthouse a truly fascinating seasonal scene. One of the oldest working lighthouses in existence, this bold and powerful lighthouse lives up to its name as it is a truly impressive building. A fiercely imposing UNESCO heritage site, the Tower of Hercules is an ancient Roman lighthouse which still guards the La Coruna harbour of North-West Spain today.